Mica Media was contracted by PVA Interactive to do the backend programming for American Hardwoods. 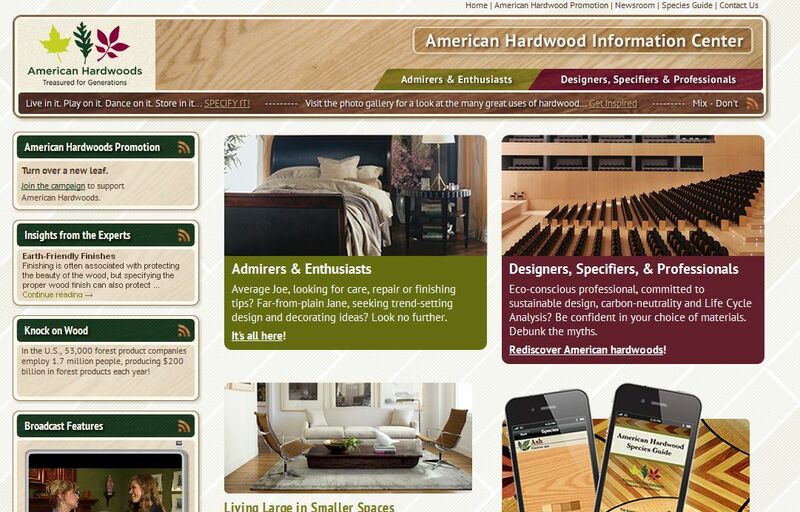 American Hardwoods was creating their own content management system and needed someone to work with their designers to create an administrative backend. We created a system for them to manage their multi-level navigation system and their content including articles, photo galleries, listings, and links. We also worked closely with the designers to implement the dynamic portions of the site to display the navigation and content that had been created. In addition to the main site, we implemented a registration and login system for access to their promotional materials including logos, brand guidelines, and sell sheets. With this new system, they are able to quickly and easily change the sections and content of their site so they always have the website exactly how they want it and are able to keep up with the latest trends.